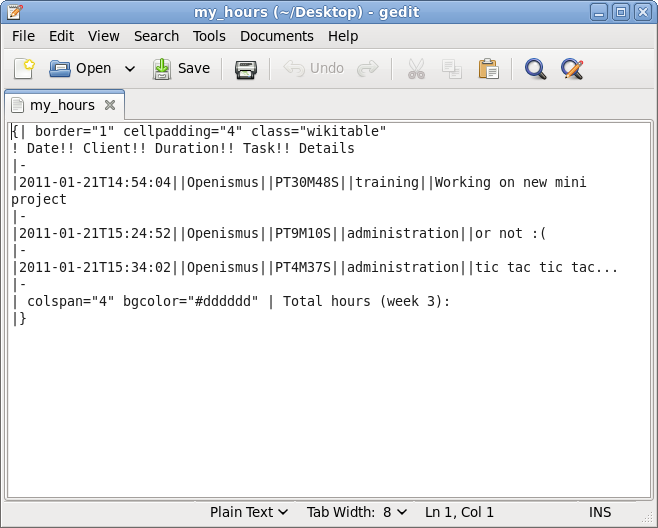 I have spent the last few weeks working on a new Qt mini project, WHCH ("Working Hours Counter for Humans"), an application for tracking the time spent on individual projects. Its flexibility concerning to layouts in the design process. Murray wrote a good resume about this with some screen-shot examples. Lack of in-depth documentation, in some cases. Although this was counterbalanced by the number of examples available. I did not use autotools this time, but qmake, which was not such a frightening experience as I thought it would be. Again, the problem at this point was the documentation. At least there are some extra sources here and there to help with this! What can you do with WHCH?. - Keep track of the time spent on a task. 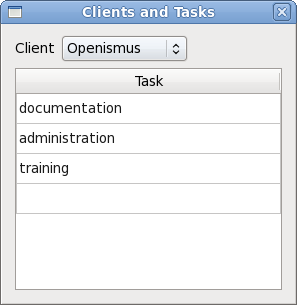 - Add new tasks related to clients. - Add a detailed description for a task. 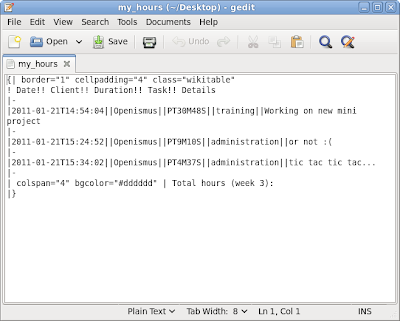 - Modify start/end time and description of a task. There is still work to be done, as well as new features to be applied, and I already created a list of FIXMEs and TODOs to start with. Check it out and submit your new ideas if you fancy (-;. You can find and follow the project on GitHub or download the tar.gz. All comments are welcome, as are merge requests. why not use hamster insted? Leonardo: sure, why not?. All the apps exist to be used, and users will choose the one they feel more comfortable with.